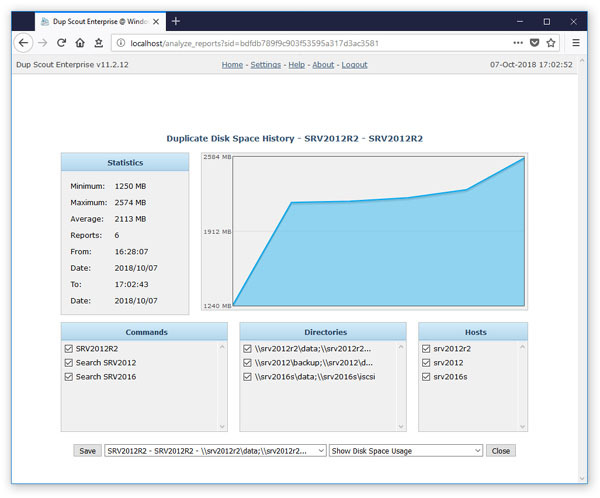 System and storage administrators are provided with the ability to analyze how the number of duplicate files is changing over time. 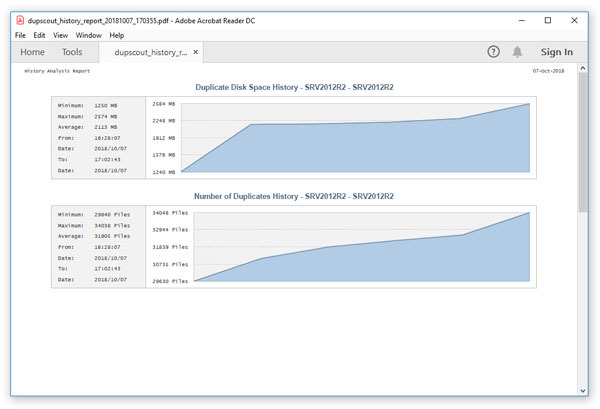 In order to be able to perform the duplicate files history trend analysis, the user needs to setup one or more periodic duplicate files search commands or manually perform multiple duplicate files search operations over time. 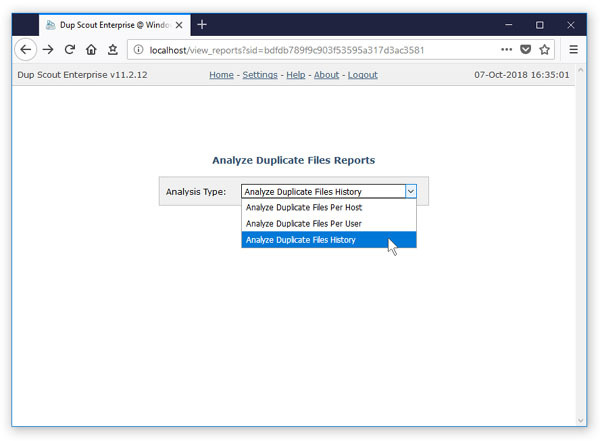 With multiple duplicate files reports saved in the report database, press the 'Reports' button located on the main status page, press the 'Analyze' button, select the 'Analyze Duplicate Files History' option and press the 'Analyze' button. DupScout Server will generate a list of history charts - one for each set of directories in each analyzed server and/or NAS storage device.